Here goes my next great adventure, a combined motorcycle and bicycle trip around the northwestern US and Canada. 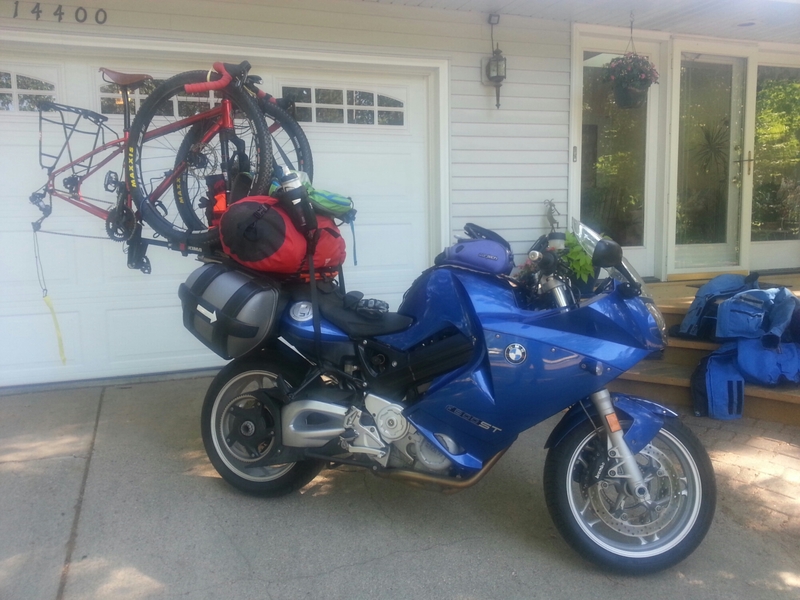 I left today with a ridiculous looking rig, Mr BMW F800ST motorcycle with a custom rack to attach a bicycle. Yep, there it is. 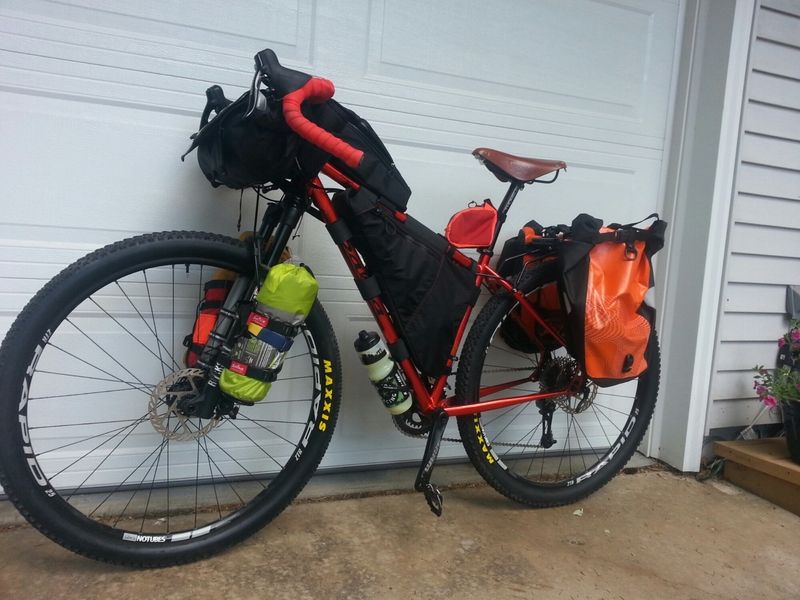 My bike setup is a Salsa Fargo with a bikepacking outfit. I was forced to deviate from the standard kit and add panniers instead of a seat bag because I’m going to go on a group ride along the Canadian portion of the Great Divide Mountain Bike Route and needed to have space for group crap. Enough of the whining. I’ll detail more about that segment later when we met in Whitefish, Montana July 9. 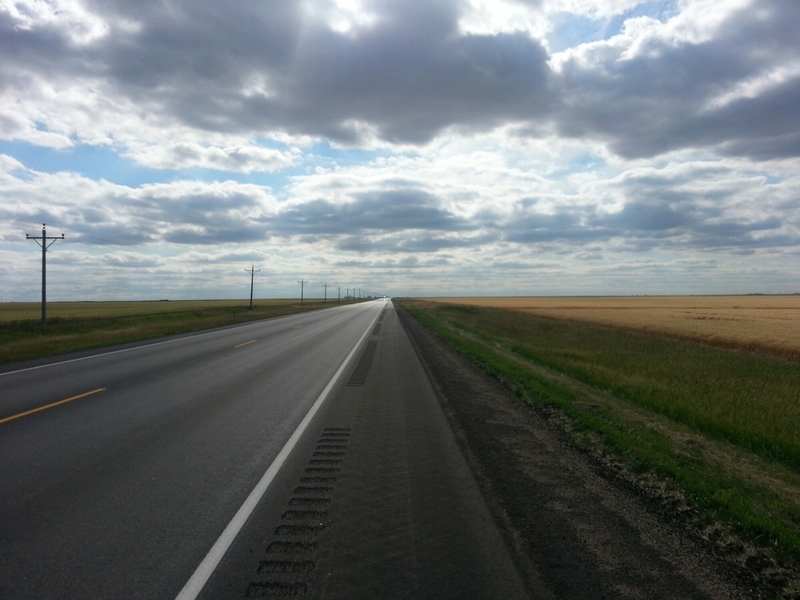 For now, headed west with a planned itinerary of Pierre, SD the first night (check), the Black Hills the second, the Big Horn Mountains, slipping by Yellowstone and into Whitefish July 7. All I can say is that my itinerary is very flexible. The ride today went well. The bike handling was slightly better than anticipated and a whole lot better than it looks. I can feel it is heavier and more top heavy, so it flicks harder from side to side and there is more side wind effects. But, I can live with that. Heading west from the Twin Cities, you quickly Gerry into farm country. Hardly a bend in the road out to Marshall. I stopped in Montevideo for lunch, the downtown looked like a ghost town at noon on a Saturday. My option was to eat at the Burger King. I’m hoping my first meal of the trip will be my worst, awful chicken sandwich. Soon after, the first border crossing, into South Dakota. You know you’ve crossed the border because within a hundred yards there is a fireworks store, and the speed limit goes up, yay. On the downside it gets real flat. The telephone poles fade to a vanishing point and your horizon is determined by the curvature of the Earth. My GPS was set to “curvy roads” do it took me on some real remote two lane farm roads that had a couple right angle turns. They were littered with birds that looked like Killdeers, and pheasants. The pheasants ran like roadrunners, the Killdeers jumped up, flew in my direction off travel and, just when you are sure you’re going to but then, they bank to the side. I tucked my helmet into my tank bag more than once. It was like Han Solo navigating an asteroid field in the Millennium Falcon. Yikes! I survived and made it to Pierre, only to find, surprise, the state park campground was full. Duh, 4 th of July weekend. Fortunately, the city park has camping, and it appears to be free. Either that or I might be spending the night in jail. Dinner and blog done, time for rest. Fun starts tomorrow.